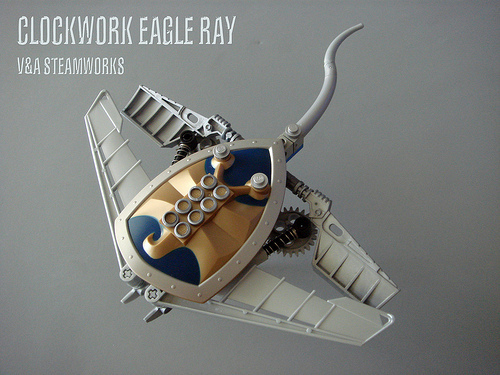 Guy Himber (V&A Steamworks) recently kicked off a series of LEGO creations that each incorporate a Knights Kingdom II shield. Guy started with a clockwork lionfish (above) and followed it with an eagle ray (below). As always, Guy combines SYSTEM, Duplo, and Bionicle elements in new and interesting ways. 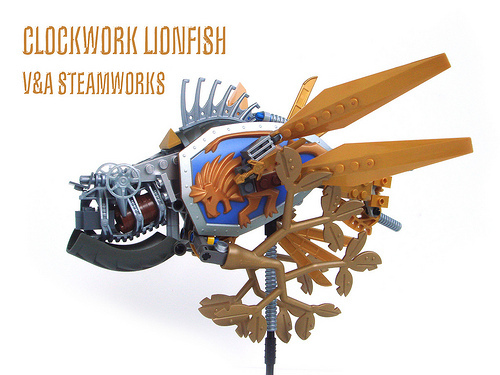 Excellent use of really hard-to-use elements like the bionicle and knights’ kingdom parts.